In my previous Azure post, i have mentioned how to join your Windows 10 PC to Azure Active Directory and it is a cloud based directory and provides the set of capabilities to manage the users and groups. Next, I have assigned Enterprise Mobility Suite licenses for the users created in Azure AD and then the users will sync with Microsoft Intune portal as well. You can manage Azure domain joined PCs from Intune Portal after the enrollment. Intune provides mobile device management, PC management capabilities from the cloud(ex: Software & updates deployment.. etc). 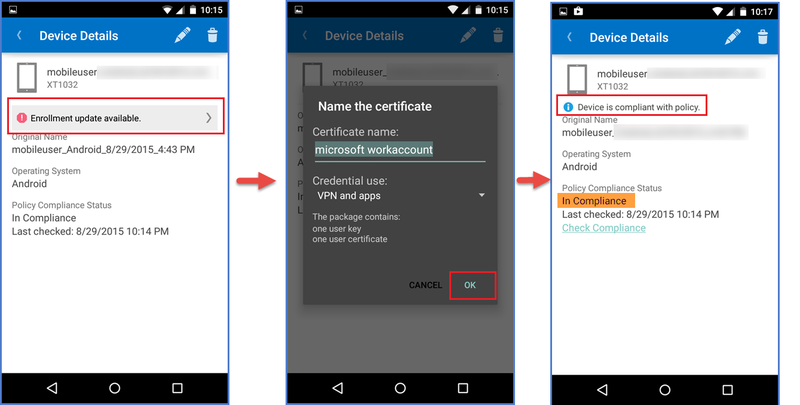 This post, i have mentioned how to enroll your mobile device with Microsoft Intune so that you can manage it from there. Sign into work account or School account( Admin user account created in Azure AD) in the Intune Portal using below link. 3. 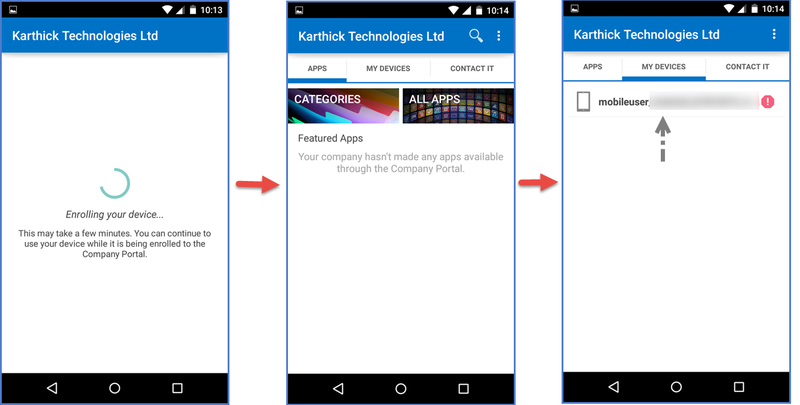 Download Company Portal from App Store on your Android Device. 4. 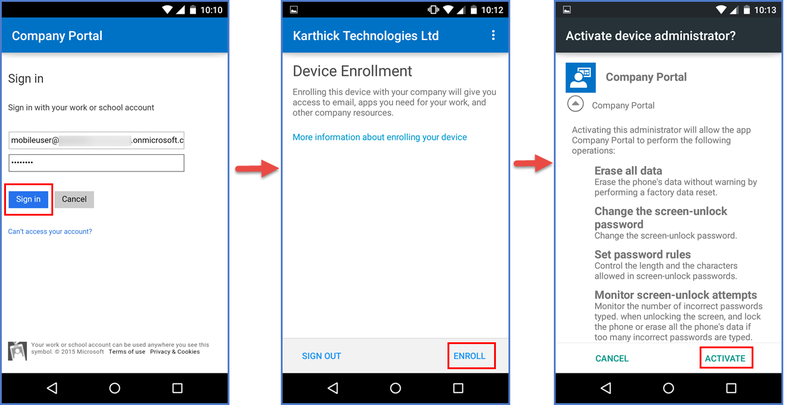 Sign in with user account(work account & School acount) synced from Azure AD in Company portal on your device.. The device is enrolled now and you can see the device info under MY Devices tab. Click on Enrollment update available and then accept the certificate. Once all done, you can see the device is compliant with policy. The device is now available in the Microsoft Intune Portal. Now you can manage the mobile device from the cloud.